With the American economy on the road to recovery, many people are considering the purchase of a home, but there are five things everyone must do before they even make an offer. 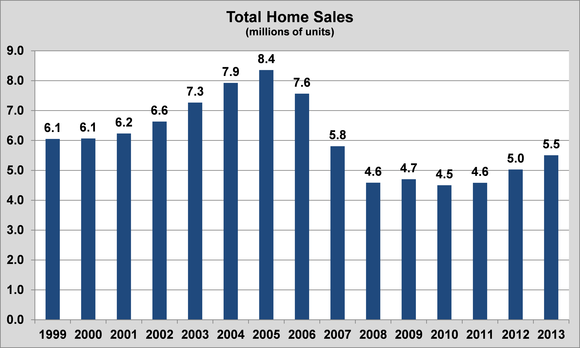 The latest data shows more than 5.5 million homes were sold in the U.S. in 2013. Total home sales rose 9.5% over 2012 levels, and new home sales registered an impressive 17.4% increase relative to last year. And, while total home sales are still below that level every year from 1999 to 2007, there is an undeniable reality the housing market is recovering four after years of floundering growth. 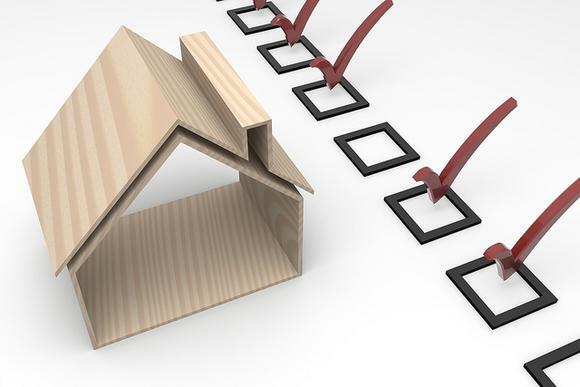 Knowing there are many more Americans now considering a home purchase than in years past, there are five things everyone should do before they decide to go all-in on a home. The first step in starting the home buying process should always be a careful consideration of one's personal financial situation to truly grasp how much home can actually be afforded. That will involve taking some time to analyze essential the things mortgage lenders consider, like personal income and debt, but also where your money is going in every day expenses. Hopefully that will even lead to a better management of personal finances. Buying a home can almost always beat renting one when considering a long time horizon, but taking on too great of a debt load can be devastating, so the first step of understanding the price range one can afford is absolutely critical. After you evaluate your own personal price range and what you'd be able to afford, the next step is to get preapproved for a mortgage, which is the approval from a lender that is good for 60 to 90 days that verifies you can in fact get a mortgage that will allow you to buy the home you'd like. This is important because pre-approved prospective buyers are often viewed with greater clout, and at times, it is even required by some firms before they'll even sell a home. This step is also important because if you're not ultimately preapproved, it could reveal potential errors on your credit score, or perhaps ways to better improve your personal finances. But above all, it's critical to verify that what you believe you can afford is also what you'd be able to receive. Source: Flickr / Images of Money. With the financial picture truly set, start the external process of researching the housing market to see where you can live in your city or town. That may mean you'll find a 2-bedroom that is 5 minutes from where you work, or a 4-bedroom that is 30 minutes away -- personal preference should dictate your target area. Beyond simply the home itself are things to consider like school districts, neighborhood safety, and even fun things like local restaurants or social avenues. The information to make an informed decision exists in a variety of different places, so taking a little time to dig into all of those things that are an important part of life itself is essential. Almost every time, the total commission to both the buyer's agent and the seller's agent is paid by the seller. As a result, buyers should feel free to use real estate agents to help them in the process of finding a home, as they can often assist in providing both homes to visit, and further information that may not be uncovered in the researching process. After you've found the home you want to buy and the offer has been accepted, the final piece is to have the home inspected to ensure that perception matches reality. The home could receive a clean bill of health and give you the final piece of confidence you need before you begin the final process of owning, but it could also reveal things the seller should fix before the sale is made. While it isn't the most glamorous, having a home inspected is critical. There are countless things to do before you buy a home, but these are five things that everyone should do beforehand. Dividend stocks can make you rich. It's as simple as that. While they don't garner the notoriety of high-flying growth stocks, they're also less likely to crash and burn. And over the long term, the compounding effect of the quarterly payouts, as well as their growth, adds up faster than most investors imagine. With this in mind, our analysts sat down to identify the absolute best of the best when it comes to rock-solid dividend stocks, drawing up a list in this free report of nine that fit the bill. To discover the identities of these companies before the rest of the market catches on, you can download this valuable free report by simply clicking here now.